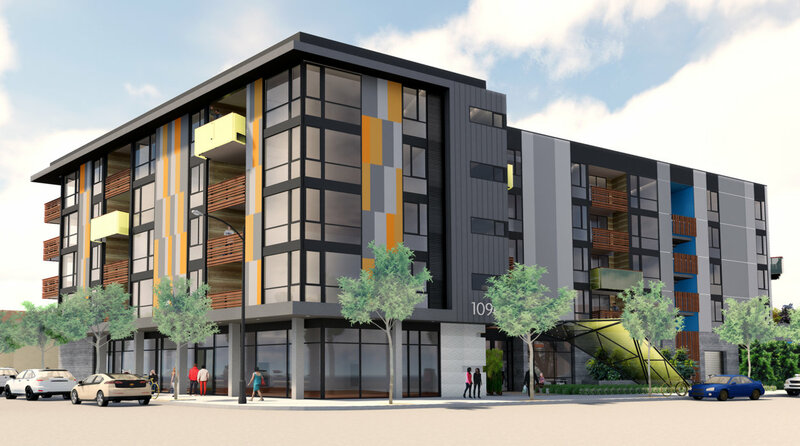 This new building is one of several multifamily developments that will change the fabric of “mid-town” El Cerrito. 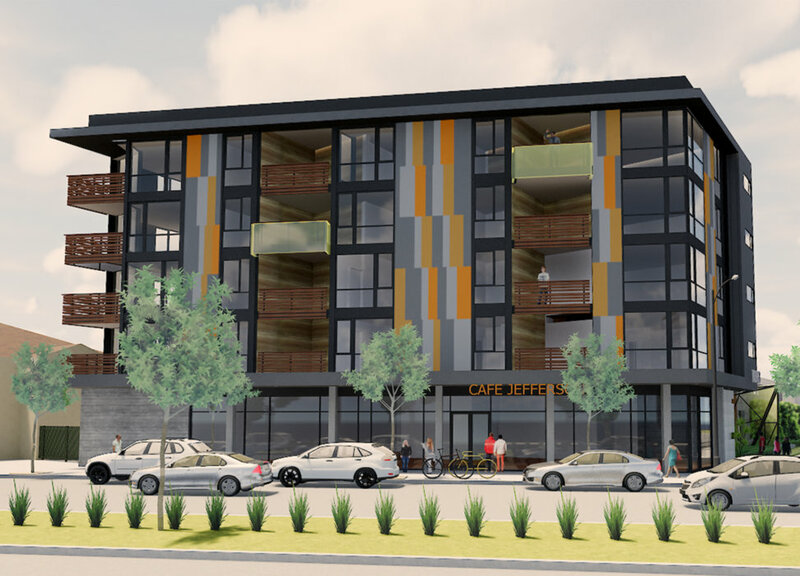 The project will transform an underutilized site into a modern apartment building with retail at street level and 50 units of housing above. 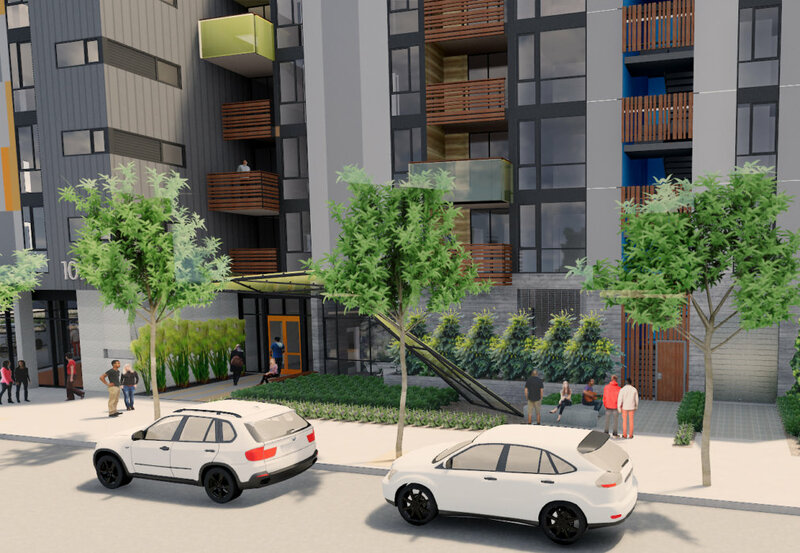 As retail along the street frontage is essential to maintaining a vibrant pedestrian experience, the entry to the residential units was placed around the corner on the quiet side street. A large sculptural awning marks the entry, aesthetically ties the balconies to the entry, and provides shade for the garden. The building features a large roof deck with a fire pit, outdoor kitchen and views of the Bay. Additional amenities include a yoga studio and pet washing room for tenants. A public park / open area adjacent to the building entry offers a richly landscaped garden with dining tables, benches and a bocce ball court.